This past weekend, the Tech softball team faced North Carolina in a three game series including a doubleheader on Saturday. It all started with Senior Day in game one where Seniors Hayley Downs, Ashley Thomas, Kaitlin Kates and Alysha Rudnik were all recognized. In a game that was close for the first three innings, things finally opened up for the Jackets after Katie Johnsky hit a pinch hit RBI triple to score pinch runner Alexis Jones. Seniors Thomas and Downs combined with the next two RBIs in the inning with a RBI single and triple. Ashley Thomas later batted in Lionberger, and Downs scored the last run on a RBI double from fellow Senior Rudnik. Starting pitcher Kylie Kleinschmidt earned the win on her way to a 13-9 record, scattering four hits and two runs in the complete game. UNC’s Tori Spingola, sister of Daniel Spingola, picked up the lost. Tech won the game 6-2. After a close game one, game two was a little more dramatic. UNC jumped out to an early 6-0 lead. However, the Jackets showed some toughness and mounted a comeback. In the bottom of the third, the Jackets exploded with 7 runs on six hits. It all started with three straight singles by Chelsie Thomas, Lionberger and Johnsky, who later scored on a RBI single and a two RBI single from Downs and Rudnik. Cabrales drew a walk to load the bases once again. With two outs, Pierannunzi capped of a great inning with a grand slam. The Jackets placed two more runs on the board in the bottom of the fifth. Sophomore Ashley Clifton picked up her first win in relief and Cabrales picked up her first save. The two game sweep placed an end to the seven game losing streak, including three to in state rivals UGA, KSU and Georgia State. 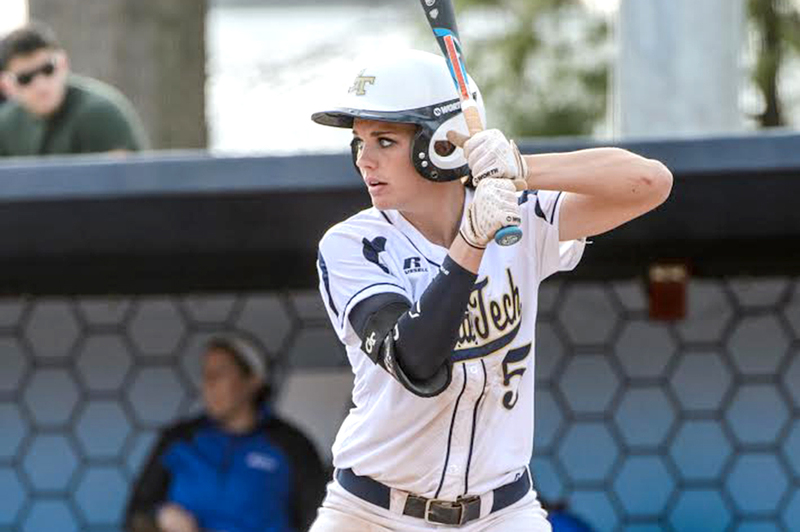 Going for the series sweep on Sunday, the Jackets sent Kleinschmidt back to the circle. UNC followed suit and sent Spingola back in. In a game that was truly close throughout, the Jackets fell after an eight run seventh inning. Each batter for the Jackets gained a hit in the hard fought game with the exception of one. The Jackets would total 14 hits matching UNC. Kleinschmidt pitched 6.0 innings allowing ten hits and five earned runs in a losing effort.